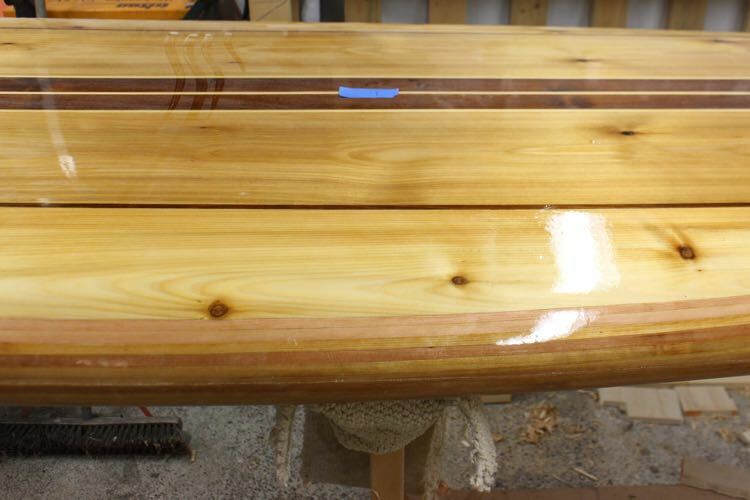 After the hot coat has cured (24 hrs) the next step in building a wood paddle board is installing the handle. There two important things to remember when you install a handle. The first is the handle should be located at the balance point of the board with a fin installed. It might surprise you how much the fin changes the balance point if you don’t plan for it. The other thing to remember is you must hit the internal blocking you installed before adding the top panel. Here are the two jigs that I use to install Futures SUP handles. Simple jigs like this are really easy to build and work flawlessly. 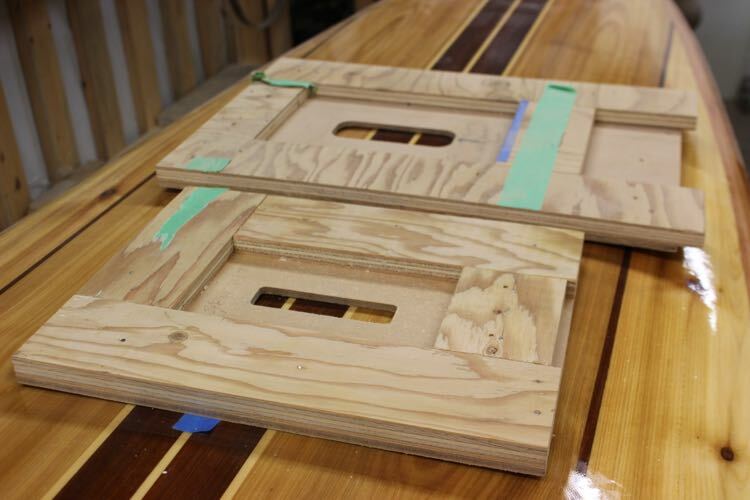 If you make your own jigs make sure to test them on a piece of scrap before you use them on your board. 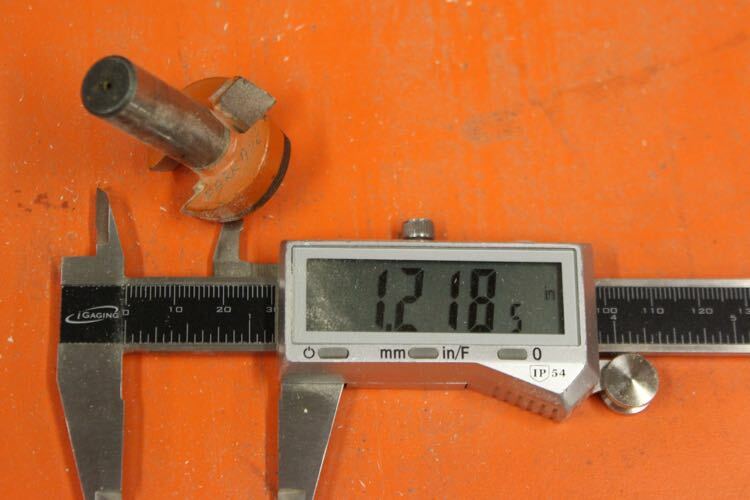 Here is a teaser on how to size jigs without measuring or math. 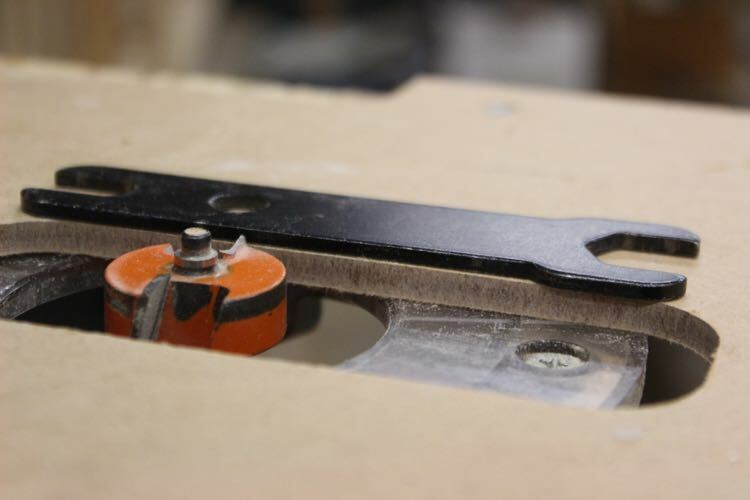 The first part of the handle jig is entered over the desired balance point. The balance point that was just taken is being checked to ensure it will hit the internal blocking. A small pilot hole was drilled in the top panel to mark the centre of the blocking. It is safer to mark the centre of the blocking with a hole than using a pencil mark so you don’t mistakenly sand it off. Another fool proof method is to use a hidden magnet shown here. The picture above shows the real balance point is only .25″ off of the centre of the blocking but if you are not as lucky, it is better to hit the blocking than to achieve perfect balance. If you miss the internal blocking when routing the hole it is a pain to get the stray chips out of the board. The first step is to router the deep hole for the handle. 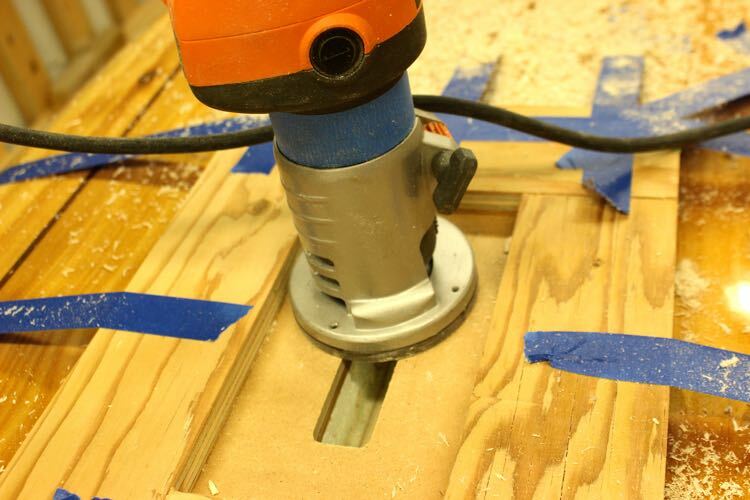 A 3/8″ router bit is being used for the first cut with a laminate trimmer. Any router will work as you do not need much power for this narrow bit. 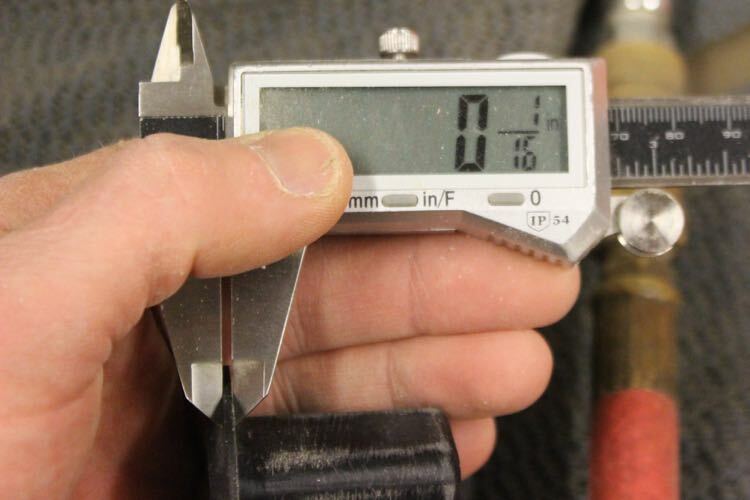 Be sure to measure through your jig or you will be short by the thickness of the jig. 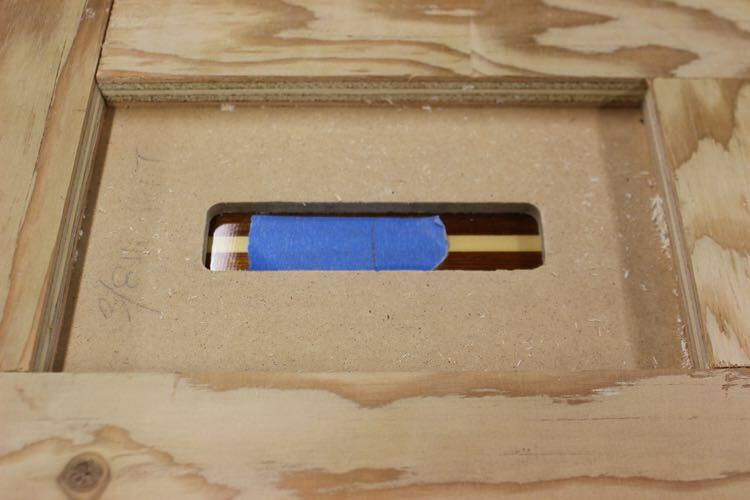 The bit is being set 1/16″ above the edge of the flange to make sure epoxy will evenly cover all sides of the handle insert. It is smart to double check you are using the correct bit before you start! 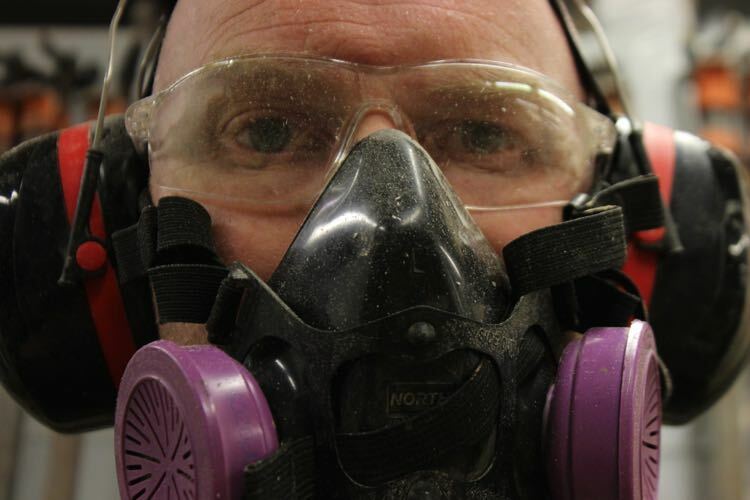 Full safety gear is required when routing as the hole has a tendency to blow the debris back at you. Uncured epoxy dust should never been inhaled so make sure you let the epoxy fully cure before routing. 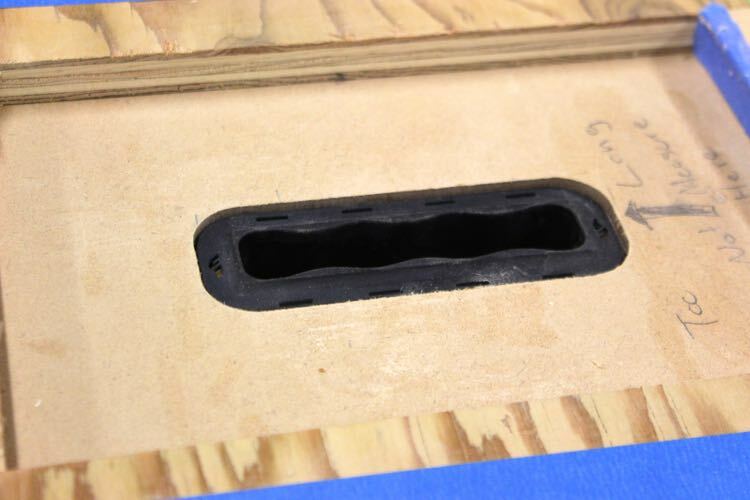 The hole should be made in several incremental steps of approximately .25″ each. 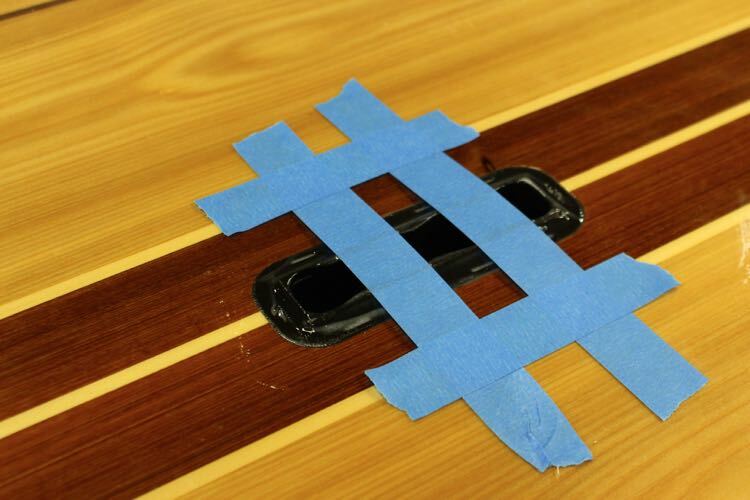 With only tape anchoring the jig in place it would be unwise to make aggressive cuts. 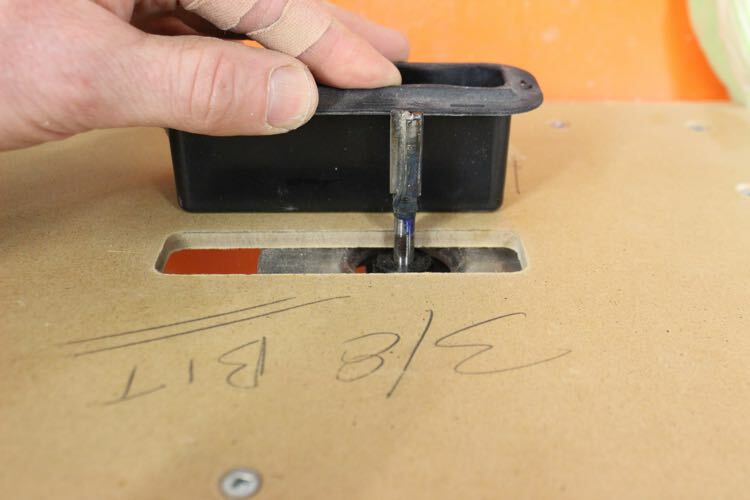 Make sure you vacuum or blow off your jig before the final increment as you go as you want a nice clean hole for the insert. 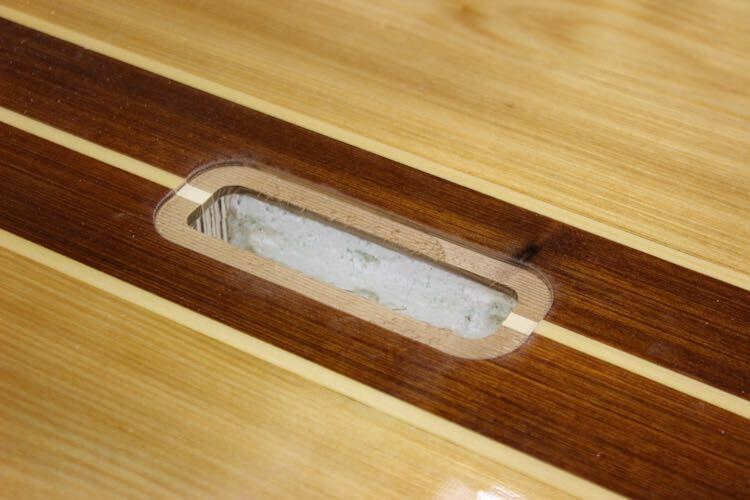 With the narrow hole complete you have can stop if your want the flange of the SUP handle to sit on the deck. If you want the handle sit flush you have to rout a 1/16th inch rabbit. The jig for the rabbit is pictured above. To align the rabbit jig perfectly insert the handle in the first hole and the second jig will align itself. I would’y recommend trying to use a rabbiting bit and a bearing guide as the chance of achieving perfection is low and the chance of messing up the board is high. A one & seven-thirty second bit (1 7/32) bit matches the radius of a Futures SUP handle nicely. The Futures SUP handle has a 1/6th of an inch flange towards the outer radius and ideally the rabbit will be deep enough to have some resin on top of the flange to prevent sanding into the handle insert after the gloss coat. 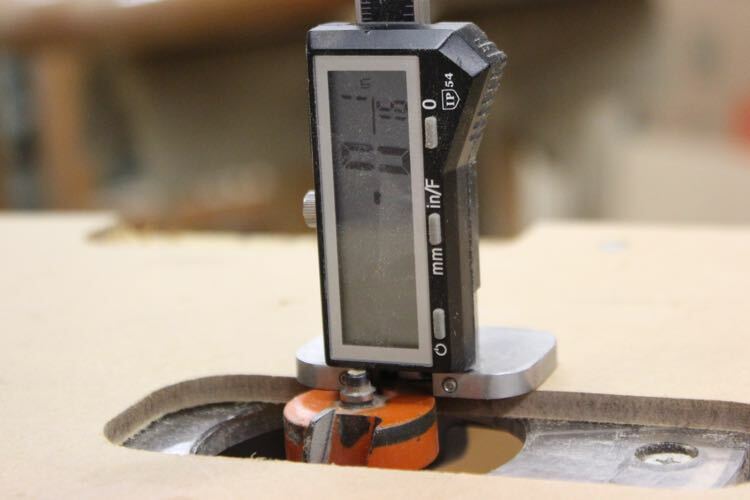 Measuring through the bottom plate of the jig for the correct height with a depth gauge can be done like this but it is a pain to hold everything steady…..
A much simpler method is simply eye-balling the depth like this. 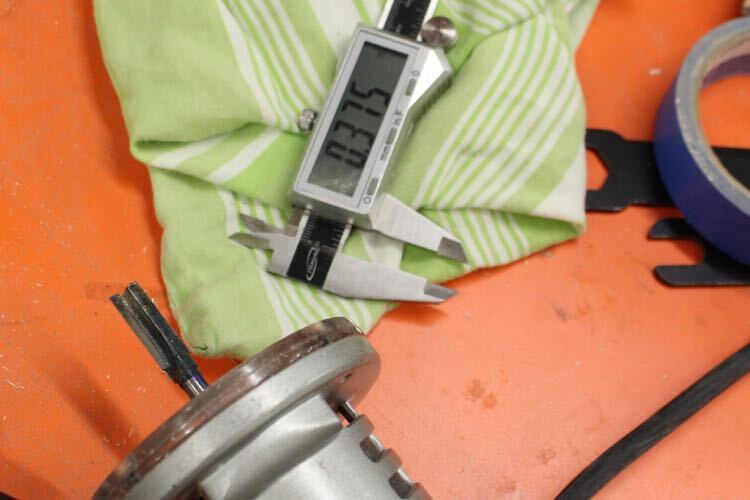 The wrench pictured is 1/8 of an inch thick so the bit should be slightly more than 1/2 way up the wrench. 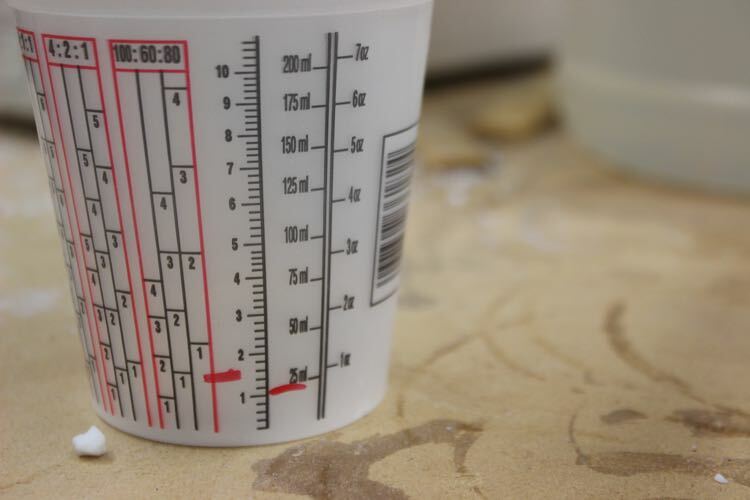 This depth results in a bit of resin covering the handle flange. The shallow rabbit can be cut in one pass. 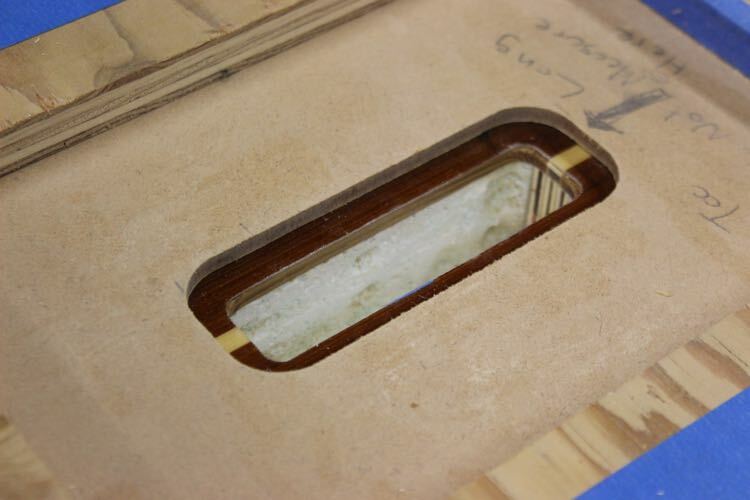 Scuff up your inserts with sandpaper before you mix your epoxy. This sanding ensures a good mechanical bond and removes any tooling waxes from their manufacturing. With a nicely routed hole you do not require a ton of resin. This is more than enough resin for a handle, vent, leash cup. It is hard to mix smaller batches than this without a syringe. 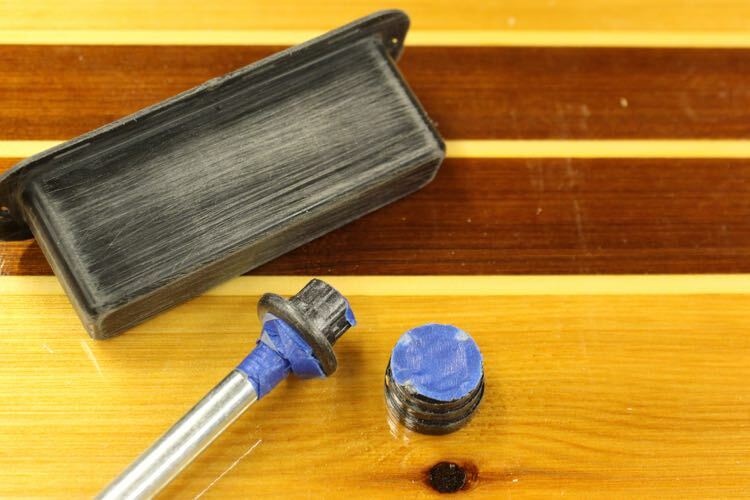 Epoxy should flood out around the flange on the Future Sup handle when it is pressed into place. 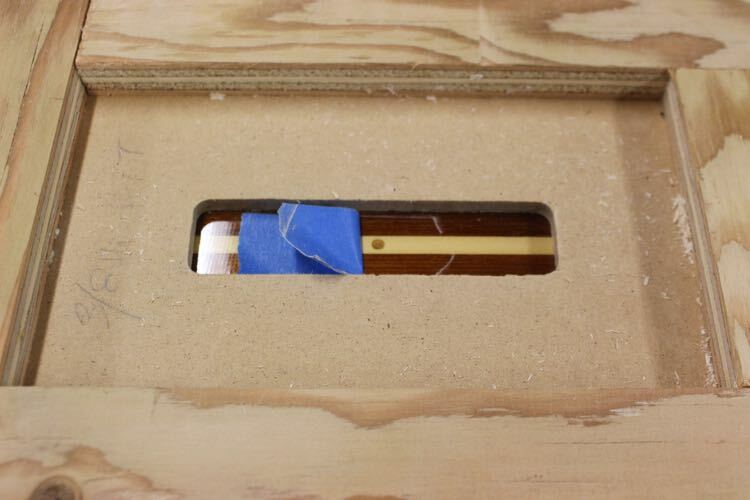 You have to prevent the handle from floating in the epoxy with tape or a weight.